In the business and commercial sphere, much like in relationships among people, disputes are inevitable. These disputes can occur with other businesses, others people, or internally among employees, shareholders and partners. Resolving Disputes can become costly and time consuming however, which can take a toll on a business’ operations as well as the people involved. Our commercial litigation practice works to ensure that your business does not get bogged down in legal disputes, but rather, is allowed to focus on running a successful business. We focus on resolving disputes as efficiently as possible, which means taking advantage of all alternative dispute mechanisms available to avoid trial altogether. However, as experienced litigators, we are also prepared to represent you at trial. 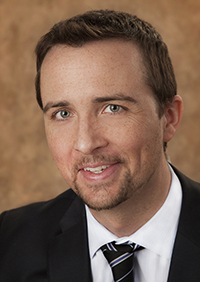 Sean S. Carter practices in commercial litigation at Carters Professional Corporation. You may contact him by e-mail at scarter@carters.ca or by telephone at 1-877-942-0001. We provide legal assistance to clients across Canada and internationally. Law offices and meeting locations with our lawyers in Toronto, Ottawa and Orangeville, Ontario. Application to Force Sale of Land Successfully Defended: Application against Charity Dismissed with Costs. July 3, 2018. By Sean S. Carter, Motion to Exclude Litigant Successfully Ordered With Costs, October 26, 2017. By Sean S. Carter, Human Rights Claim by Former Employee Successfully Defended, July 5, 2017. By Sean S. Carter, Motion to Strike - Pleading Successfully Defended and Costs Ordered, May 15, 2017. By Sean S. Carter, Application under the Charities Accounting Act successfully dismissed and costs ordered against the applicants - Endorsement, Oct 26, 2015. By Sean S. Carter, Application under the Charities Accounting Act successfully dismissed and costs ordered against the applicants - Order, Oct 26, 2015. By Sean S. Carter, Costs awarded against director of corporation (non-litigant) - corporate veil pierced, May 26, 2014. By Sean S. Carter, Litigation Bulletin No. 3, November 30, 2017.